The New Dork Review of Books: Last Night in Twisted River: Irving's Back, Baby! Sounds like another interesting Irving novel. It has been years since I've read anything by him, so maybe this could mark a return. Great review! @Derek - Yeah, Twisted River would be a great way to re-introduce yourself to Irving. Let me know if you read it - and of course, what you think! Can't WAIT to read it! My 16-year-old is plowing through all of Irving right now. Makes me SO happy! Yeah! I'm so glad he's back. I've had high hopes for a return to form, as you said, for the last few novels he published and was disappointed. It sounds like this is one I will be picking up. I'm also a long-suffering fan. I love Irving but couldn't even bring myself to crack open Until I Find You because of the poor reviews and my dislike of The Fourth Hand. I was waiting until someone read it before I bought a copy but it sounds like it's worth it. In related news, I really want to read Let The Great World Spin, but I watched Man on Wire and hated Petit so I've been hestitant to pick it up. @homebetweenthepages - Until I Find You was just terrible, but yeah, please check out Twisted River if you're an Irving fan. OK, so... I've never read an Irving novel. There I said it! But you've got me seriously interested in reading him so I wondered if you have a book you'd recommend I start on? :) Thanks! @Kathmeista - I think I'd start with The Cider House Rules. It's probably not his best novel, but it's still very good, and it's a good representation of his style and themes. If you want to start with his best, IMO, check out A Prayer for Owen Meany. Hope you enjoy! Welcome to the party! Thanks for writing such a great review. I think I will start with A Prayer for Owen Meany. I just finished Twisted River and found this link. Interesting to see your comment "I hope this isn't it for Irving." because I was thinking the same thing. This book has so many autobiographical elements and his favorite recurring themes, it makes me wonder of he sees it as his last hurrah. I hope not! I wrote a blog post about it too, from the food point of view (which I see you thought was too long!). I enjoyed Until I Find You, but could not read The Fourth Hand. John Irving is my all time favorite. Great story, never read anything written quite like this. 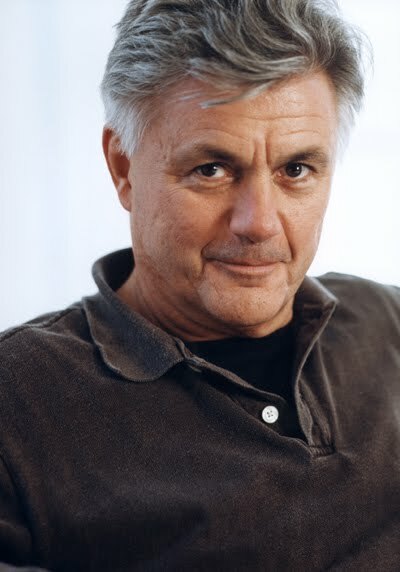 I think I've read most of John Irving and enjoyed everything he's done. I always expect something different from him and this was not a disappointment.